Following years of research and planning, Mayor Peduto and the Pittsburgh Water and Sewer Authority have released a complete Clean and Green plan for Pittsburgh. Read the full plan here and make sure to send your comments to PWSA here! “The Clean Rivers Campaign and ratepayers around the City commend the Mayor and PWSA for taking the lead in creating a citywide, green-first plan that will revitalize our neighborhoods, prevent flooding, clean our waterways, and fight climate change locally,” said Jennifer Rafanan Kennedy, Director of the Clean Rivers Campaign. 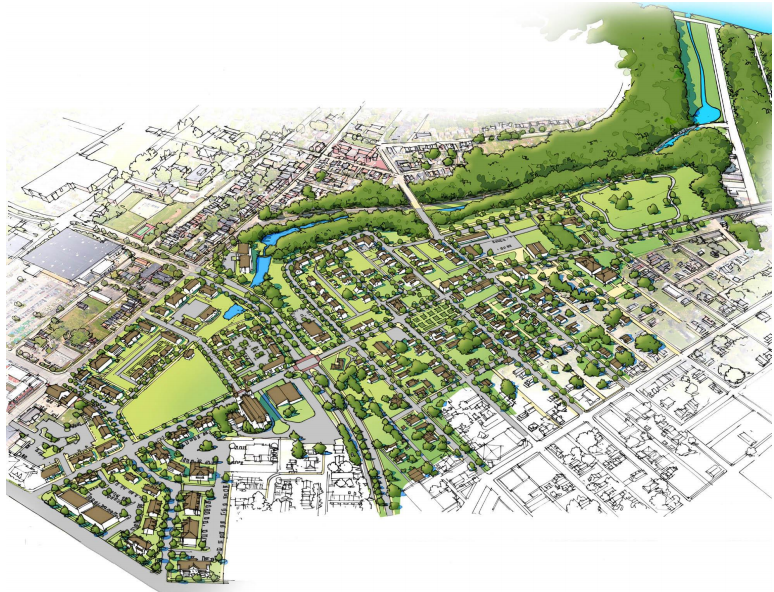 According to the PWSA study, careful and strategic placement of new green infrastructure coupled with fixing the existing system could meet the first phase EPA requirements for cleaning our rivers while also reducing or preventing flooding in problem areas, and resulting in cleaner air and more green space, all at a lower cost than previously projected. The Clean and Green plan, which the Campaign believes should be fully adopted by ALCOSAN as the means of fixing our outdated sewer system, will save money, but the cost will still be born by ratepayers, and they’ve made it clear that they want to see that money invested back into their communities through common sense green solutions. “I believe ratepayers will see this as an investment in our communities. Rate increases will be tough, so we have to see this money come back to our neighborhoods through community benefits, jobs, and customer assistance programs,” said Pittsburgh resident, Billie Vaughn. ALCOSAN ratepayers who live outside of Pittsburgh want to see the plan expanded regionally so that they can see the same benefits for their investment. “I like the City’s plan to invest in green infrastructure, but I’m concerned that my municipality will not receive the same benefits for our investment. I would like to see this plan expanded to the whole region, not just Pittsburgh,” said Dormont Council Member, Kate Abel. Ratepayers in surrounding municipalities will also be calling on leaders at ALCOSAN to adopt the Clean and Green plan for the entire region. If you live in the ALCOSAN service area and want to see this plan adopted for the entire region, sign a letter here to the Board Chair of ALCOSAN and let him know that you support this green-first approach!